Are you waiting to thrive? I’m Eva Strijp and I’m here to tell you that having a simple life and a peaceful family home can be achieved. You don’t have to wait until the baby is sleeping through. You don’t have to wait until your toddler is out of nappies. You don’t have to wait till your kids are at school. Thriving is an option and it’s an option right now. Even if your babies aren’t sleeping through yet. Even if your home is a crazy mess right now. You don’t have to wait for your children to change. All it takes is a few strategies and some different choices. Because your role as a mother is so important, isn’t it worth doing something that will make a difference? A simple, peaceful family home that’s easy to maintain… with your children! If that feels totally impossible, like a far-fetched fantasy, I know what you mean. I remember thinking exactly that. I remember feeling that I would have to wait until my kids had all left home before I’d start to thrive. I can’t remember the exact moment that I realised I had the power to make the shift… maybe it was something a friend said. Maybe it was just feeling fed up with the constant struggle. Whatever it was, I realised that nothing would change until I finally gave myself permission to do things my way. Once I discovered that I could set up my life with simple strategies that worked for us, life got so much better. As a mum with six children under thirteen, I’m under no illusions about the reality of motherhood. And I’m not interested in turning you into a supermum…. What does that mean anyway? I simply believe that you have everything you need to have a peaceful, happy home life. All you need to do is decide what that looks like for you. I give you the tools and strategies to create exactly the home life you want. As well as the courage to take care of yourself. I know what it is to be overwhelmed and struggling. To be just surviving, yet wanting to really thrive – as a parent and as a person. I am here to tell you that it doesn’t have to be that way. You can create lasting change for yourself and your family. I have developed the Simple Life, Peaceful Home strategy after years of trialling, growing and creating. I can’t wait to share it with you. 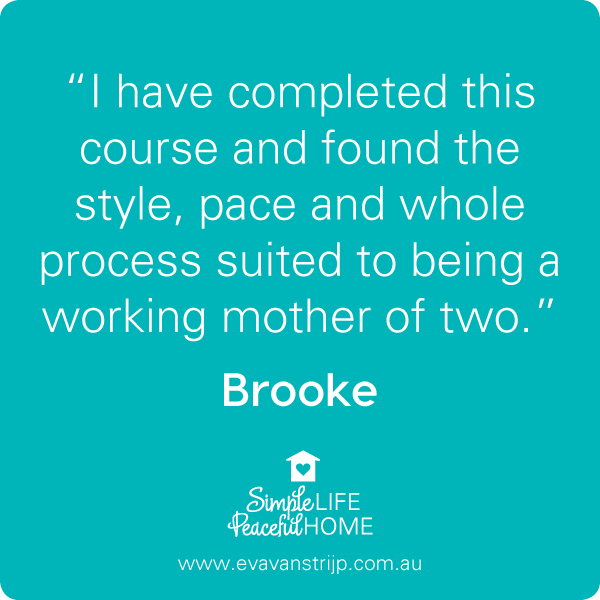 Simple Life, Peaceful Home is an 8 week strategy for busy mothers with young children who need guidance, support and strategies to create and maintain a simple, peaceful family home. If this sounds like you, take a look at what’s inside. You’ll take some time this week to really figure out what it is you want to achieve through this course. You’ll receive a pre-course welcome pack and you can jump into the support forum for some inspiration and motivation. In an age of hyper-consumerism and crazy excess, the wisdom of minimalist living is making a comeback. Over 2 weeks, you’re going to use a proven strategy for decluttering your space so that you have a solid base for creating a simple, peaceful life and home. Simplifying your life isn’t just about getting rid of stuff. It’s about creating a balanced, peaceful day-to-day that you’re happy to wake up to. This week, you’ll go through the process of decluttering commitments, projects and mindsets. You’ll also dig deep into the concept of reduction. You’ll look at reducing consumption, both of material items and of subtle influences, and create space in your life and your home for more of the good stuff. Over 2 weeks, you’ll invest time in setting in place systems and routines that will help you to create order and peace so that the home can run smoothly and with as little stress as possible. You will develop a schedule that allows for change and growth, but that keeps you focused and on track. With some solid strategies and key planners, you’ll create systems for success in your home and family. Master the art of creation! This week, you’ll look at simple yet effective ways to begin creating inside the home. You’ll look at ways to re-introduce an old hobby or carve out time for a new one. 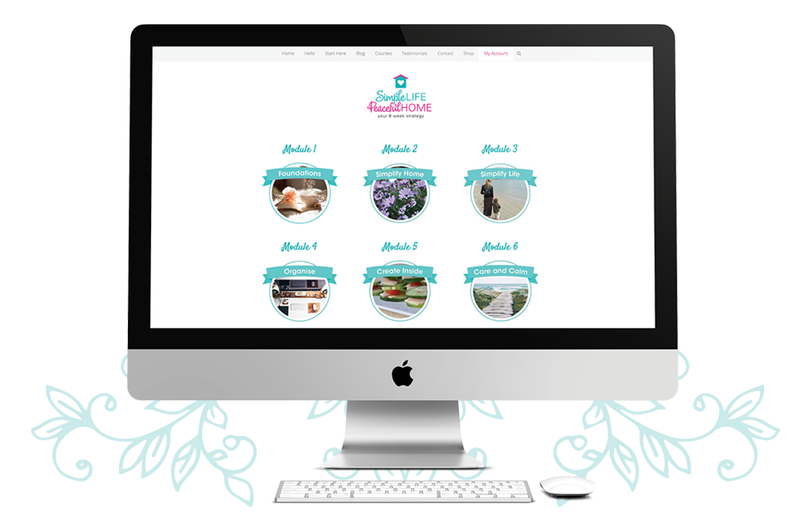 This module includes a bonus guide with natural cleaning recipes from Laura Trotta. This week is all about creating strategies for a calm daily life, beyond this program. When you’re in the thick of a course, it can be easy to stick to new ideas, but once the course ends, we tend to fall off the band-wagon somewhat. In this module, you’ll spend some time creating rituals that will help you maintain your simple life and your peaceful home. In Week 1, I’ll send you some resources to download so that you can grab your favourite beverage and dive in to developing your intentions for this course. Let’s Peace-ify – a worksheet to help you figure out exactly what needs changing the most in your home and in your life. A Word on Habit – an article to help you create a positive mindset towards new habits. Start With Your Vision – a resource to guide you through choosing your vision for your home. Eva, I loved this course. I found it to be calming, focused and rewarding. I love all the bonus resources, the fact that we have unlimited access to the course materials and the fact that you do not heavily rely on video to teach. So many courses are moving to video, which is impossible with little kids – reading I can do when they are asleep in my arms!!! I can go back and re-read what I need to as well! AND If I really wanted I could print stuff out, but just having it all on the iPad is awesome! The website is really user friendly. I love the layout and find it really easy to navigate and use. Although I didn’t keep pace with the course due to moving house, I eventually caught up and am absolutely inspired!! Thank you for creating such a wonderful course. Although I am still making my way through the course at my own pace, I have so far found several things that have made a massive difference in both my mindset and the running of our home. Culling and decluttering was huge and it’s made life much easier – it’s amazing how much stuff we’ve had that we haven’t used but couldn’t purge from our home. We have brought in the rule that for every toy, clothing item or household good that comes in, one other item has to be donated. Implementing a meal plan has also simplified things. I’m not a stressed mess at 3 pm, trying to work out what to cook, so quite often I now cook or at least prepare in the mornings when our toddler has his nap and I find things much more harmonious in the afternoon. 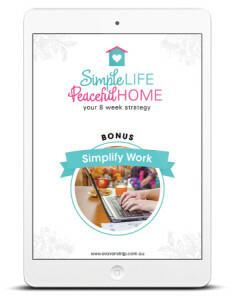 Workbook: Simplify Work If you are balancing a business alongside your home and family, there’s a bonus module in week 4 to help you simplify your business. Created especially for mothers who are small business owners, this bonus module will guide you through some strategies for decluttering and simplifying your business processes. eBook: Creating a Self-Sufficient Family Home Reusing items makes sense, not just for your bank balance, but also for your health and for the earth. It can even save you time. This eGuide will help you focus on small, simple changes that can have a huge impact on your family’s journey towards simplicity. eGuide: Quick Start Guide to Growing Food (with Kids!) Even with a small amount of space, there is so much you can do to be more self-sufficient, and this eGuide, will start you along this journey with my step-by-step process for setting up and maintaining a healthy, productive vegetable garden. The Simple Life, Peaceful Home program is your 8 week strategy for success. I can help save you hours of time and provide you with the strategies, resources and skills needed to create and maintain the simple life and peaceful family home that you dream of. Delivered over 8 weeks, the strategy includes videos (not too many! ), workbooks, templates, tutorials and action sheets for you to adapt to your life and family. This isn’t just an 8 week fly-by-night in which you feel motivated during the course and then drop off the band-wagon when it’s over. This course is dedicated to helping you create systems and rituals that will last well beyond the duration of the course and that can easily be customised as your life changes and your family grows. I will support you through every step of this journey so that the strategy you create for your family is one that fits you like a glove and is a joy to keep. I am absolutely committed to helping you develop a Simple Life and a Peaceful Home and will work with you in the private Facebook support forum to work through the process of developing a strategy that suits your family. Access to the private Facebook support forum for the lifetime of the course. I will work with you in this support forum to work through the process of developing a strategy that suits your family. Six topics delivered via a mix of email, video, worksheet, planner, tutorial and template. Available in our membership site for you to access for the lifetime of the course. Access to some amazing contributors, each providing resources specific to their zone of genius. Access to every live round of the course, which means you have access to any new resources I add each time it runs. 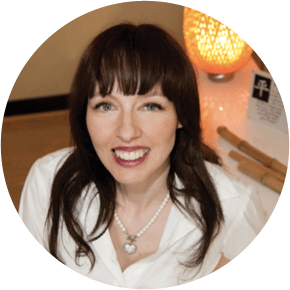 Laura Trotta has a Masters of Science in environmental chemistry and is the creator of the Home Detox Boot Camp. 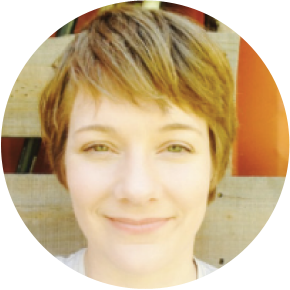 Laura will be sharing her favourite chemical-free home-cleaning recipes. 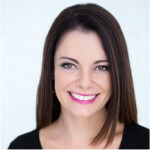 Dr Debra Campbell-Tunks is Director of the School of Love, an online psychology practice offering an eCourse and resources for creating mindful relationships. Debra will be sharing her wisdom in a bonus guide. 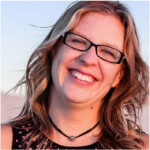 Brooke Summerville is the creator of a thoughtful, researched blog about creative sustainability for parents. 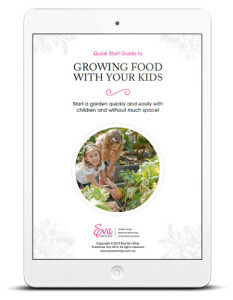 Brooke will be sharing her wisdom for developing a healthy home garden strategy for your family. Working with Eva has been an amazing experience for me. Her wonderful advice and inspiration for parents is not only driven by her own experience, but also by here intuition and empathy. It is this perfect combination that allows her to have such a thoughtful and considered perspective. Eva’s ideas and initiative have allowed her to do things other people would only ever dream of. Her commitment to being of service to other parents, providing them with products and services to help them on their own journey, is palpable. Apart from all of that, she is just brilliant at getting things done – like no one I have ever come across! 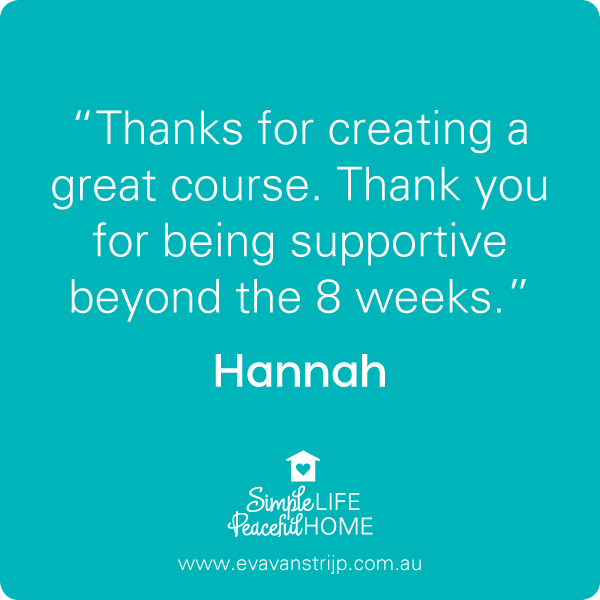 No matter what your journey is – a parenting journey, a business journey – if you are thinking about working with Eva, do it. She will guide you to the best possible outcome you could imagine. I have known and worked in various roles with Eva for over 3 years now and have always admired her in-depth knowledge of leading a sustianable life and most importantly, her commitment to walking the talk. 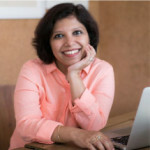 Did you know that she maps out her entire year’s worth of blog posts even before the year starts? Yes, THAT organised! Working with her is a pleasure. She’s clear, she stands by her word, she leads with grace and good humour. She doesn’t pretend to be someone she isn’t. 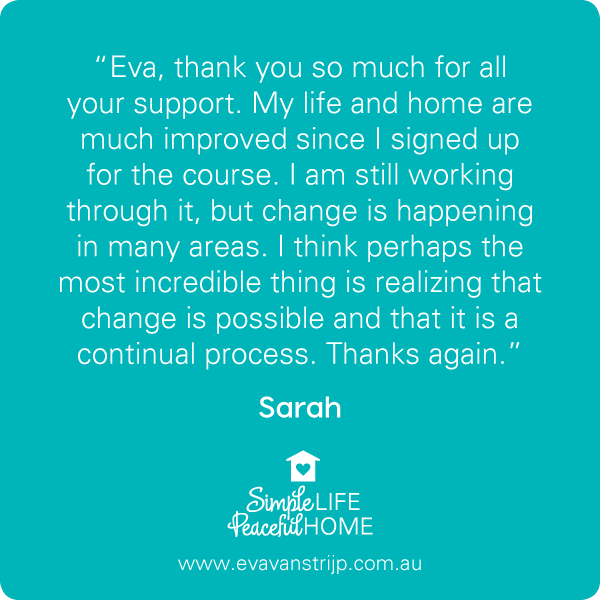 Learning about simple sustainable living from Eva is like chatting with a friend who gets how busy and crazy your life is and can help you still make meaningful changes without losing your mind. The thing that has always impressed me most about Eva is her genuine passion for the natural parenting community. Community is at the forefront of everything she does – be it nurturing and supporting her treasured retailers or building a community of like-minded parents. Eva has such an authentic desire to create something much bigger than the products she sells; I admire the way she SHARES that passion with the world and this is the type of person I most love to work with. The old saying that “it takes a village to raise a child” is as relevant today as it’s ever been. When you become a mother for the very first time, everything is so new and overwhelming and you really need the support of other “more experienced” mums to make the transition as smooth as possible. With the breakdown of traditional communities, and many of us raising our kids in suburbs, cities and towns far away from our own mums and family support network, online communities and experts have an important role to play. 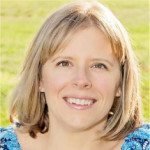 If you’re looking for an experienced, knowledgeable and compassionate mum to help guide you on your peaceful parenting journey, you can’t go past Eva. 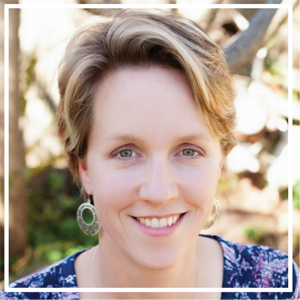 I’m simply in awe of how Eva manages to juggle being the primary caregiver to, and home schooling her five children, living sustainable and running a business, all while remaining so real and accessible. 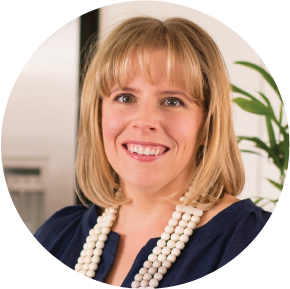 The truth is that Eva is passionate about peaceful parenting and is ever more passionate about helping and supporting other mums grow into their role as mothers, it is her calling. So, if you’re missing the village in your parenting journey, do yourself a favour and invest in Eva to support you in the most important role of all, motherhood. You will be a better mother for it. I want you to be really, truly happy with your investment in Simple Home, Peaceful Life. I’m confident that with all the goodness and support I’ve packed into this program, you will be, but if you’re not: I’ll give your money back. All you have to do is email my team letting them know you’re not satisfied and submit all your completed worksheets before the end of Week 3, and we’ll refund you your course price, less a $10 admin fee. Too easy! I’m proud of Simple Life, Peaceful Home and excited that you can create the home and life you dream of using this course well. I’m sure you won’t need to use this guarantee, but I’m offering it because I want you to feel confident investing in Simple Life, Peaceful Home… I want you to feel confident investing in YOU, your home, your life. I am confident that if you commit to taking action, all of the insights, wisdom, tools, strategies and support you will receive throughout this course will help you to transform your life and home for the better. We’ve got answers! If you have a question about Simple Life, Peaceful Home that we haven’t addressed below, please don’t hesitate to be in touch by emailing my team at hello (at) evavanstrijp (dot) com (dot) au and we’ll get back to you asap. Simple Life, Peaceful Home is available to you for the modest investment of $297. Life is busy. Crazy busy, actually. That’s why I created Simple Life, Peaceful Home to be self-paced. There is no need to “keep up” – do what you can, when you can and commit to taking one small step each day. Whether the course takes you 8 weeks or 8 months, you can go at your own pace as you have access to the membership site and its content for the lifetime of the course, plus of course the customisable action sheets are all yours forever. You can go through the live rounds every time they run and feel refreshed and inspired each time to update your strategy, or you can adjust on your own terms, when it feels right for you. Will this fix all of my problems? Simple Life, Peaceful Home is not a magic wand. It is a strategy that only you can implement. Only by committing to do the work, creating change and sticking to it will you begin to enjoy a simpler life and a more peaceful family home. As soon as you register for Simple Life, Peaceful Home, I’ll send you some resources to start you off on the journey of simplifying your home. In Week 1, we get really clear about what it is you want to achieve from the course. From Week 2 onwards, it’s all about implementing to achieve the life and home you want to create. Whether the course takes you 8 weeks or 8 months, you can go at your own pace as you have access to the membership site and its content for the lifetime of the course. The best forum support is available while the course is live, as this is when most participants are in the thick of creating strategies and making change, so this is the best time to get live feedback and engagement. While we encourage you to work through the course as the modules are made available, there is no falling behind in this course, and every step towards a simpler life is an important one. Simple Life, Peaceful Home displays beautifully on phone, tablet, laptop and desktop. The only thing you will want a computer and printer for is to print the templates, worksheets and planners, but these can be downloaded and viewed then saved as screenshots to your phone or tablet. Never! You can sign up for and start Simple Life, Peaceful Home any time that’s right for you. Do you offer a refund if the course isn’t right for me? Yes. 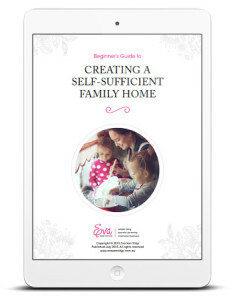 I wholeheartedly believe in Simple Life, Peaceful Home and know that it is packed full of creative strategies and incredible value that you will be able to use throughout your home and in the parenting season of life. I also know that the support you receive in the forum, both from myself and other participants, will be one of the most valuable aspects of creating and maintaining your new life and home. However, if you don’t feel that the course is the right fit for you, simply email my team letting them know you’re not satisfied and submit all your completed worksheets before the end of Week 3, and we’ll refund you your course price, less a $10 administration fee. Couldn't I just find all this stuff for free on the Internet, or create it all myself? Perhaps. You could spend hundreds of hours scouring the net for the information you need or spend precious time creating all of the planners and strategies you need for your home. But why do that, when it’s all been done for you – ready for you to translate for your home, life and family? How much time will it take me to go through the course content each week? I recommend dedicating an hour a week to soaking up course content and to start implementing specific changes. But really… the beauty of Simple Life, Peaceful Home is that you can go through it at your own pace and take baby steps or giant leaps. Is this course geared to mothers who run a business? 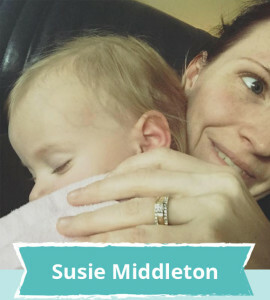 This course is not tailored specifically for mothers who run businesses, but there are a number of extra resources that I have developed and use in my own business and which I’m sharing in this course – especially for those who do happen to run a business. 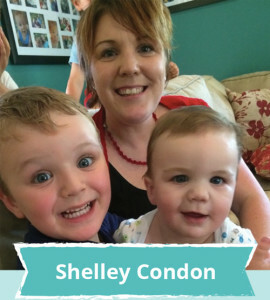 This course was created for mothers who want to simplify and smooth their transition into parenthood. If you don’t run a business, you can just skip over the bonus material and concentrate on all the other good stuff that you need.